Gaston College subscribes to the open-door admission policy. Applicants must be at least 18 years of age and possess a high school diploma or equivalent to enroll. For most programs of study, the following steps should be completed prior to registration. Complete an online application at www.gaston.edu/apply-online. Paper applications are available at any campus location. Students who score 480 or higher on the Verbal or Critical Reading portion of the SAT are not required to take the Reading portion of the placement test. Students who score 480 or higher on the Writing portion of the SAT are not required to take the Writing portion of the placement test. Students who score 530 or higher on the Mathematics portion of the SAT are not required to take the Mathematics portion of the placement test. Students who score an 18 or higher on the English portion of the ACT are not required to take the Writing portion of the college's placement test. Students who score 22 or higher on the Reading portion of the ACT are not required to take the Reading portion of the college's placement test. Students who score 22 or higher on the Mathematics portion of the ACT are not required to take the Math portion of the college's placement test. Students who earned a grade of "C" or better in college-level English and Math courses are waived from taking the placement test. Students with an unweighted high school GPA of 2.6 or higher and meet certain requirements outlined in the Multiple Measures for Placement Policy below are waived from taking the placement test. In accordance with the new Consolidated Appropriations Act of 2012 (Public Law 112-74), Gaston College has eliminated the College Placement Test Ability-to-Benefit (ATB) alternative for students planning to first enroll in a program of study on or after July 1, 2012 and who have NOT earned a valid high school diploma from a regionally accredited institution or a recognized equivalent (e.g., GED@). As noted in the law, neither ATB testing nor earning six credits applicable to a degree or certificate will satisfy the academic qualifications for receiving financial aid. Students who fall in this category and who wish to receive financial aid may establish eligibility by completing an approved GED@ or Adult High School program. Additionally, some employers, licensing boards, and credentialing agencies may not recognize credentials from non-regionally accredited high schools, even after a student has received course credit or completed a program of study at Gaston College. In order to qualify for federal financial student aid, students will need to submit both an official high school transcript and official transcripts from all colleges previously attended. Student is college ready for any gateway math course and any course that has a DMA prerequisite. Colleges may require students to take a supplemental math lab as a co-requisite, based on college policies. Student is college ready for any English course up to and including English 111 and any course that has a DRE prerequisite. Colleges may require students to take a supplemental English composition lab as a co-requisite, based on college policies. Student will take the State Board approved North Carolina Diagnostic Assessment for Placement (NCDAP) to determine placement. *This policy applies to an individual who has an official transcript grade point average (GPA) from a high school that is legally authorized to operate in North Carolina and who graduated from that high school within five years of college enrollment. If a student received a multiple measures waiver and has an unweighted high school GPA between 2.6 and 3.0,inclusively, MAT 001 may be required to take MAT 171. This policy does not apply to Career and College Promise operating procedures for eligibility. Transcript from a regionally-accredited college or university reflecting attainment of an Associate degree or higher. Submit official college and/or university transcripts, if applicable. College transcripts are not required for admissions; however, official documents are required for consideration of transfer credit. Applicants are strongly encouraged to submit a Gaston College Application for Admission at least four weeks prior to start of the semester. This ensures the applicant ample time to complete the entire admission and enrollment process. 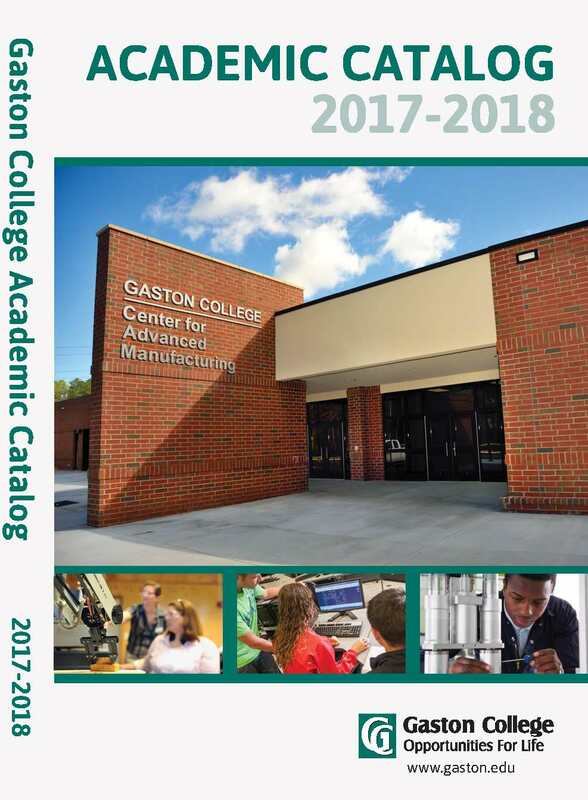 Applicants transferring to Gaston College from another college or university must submit an application and meet the admission requirements for the program of study they intend to pursue at Gaston College. Students who have not registered for a two-year period are required to re-apply and meet current admissions requirements. General Admission to the college does not guarantee admission into certain programs of study. For example, many programs of study within the Health and Human Services division have an additional admission process. These programs of study include Associate Degree Nursing, Practical Nursing, Cosmetology, Dietetic Technician, Dietary Manager, Esthetics, Therapeutic Massage, Medical Assisting, Phlebotomy, Nursing Assistant, Health and Fitness Science and Veterinary Technology. Applicants should contact the department chair within their program of study to ensure awareness of any additional or new program-specific admission requirements. Applicants not having attained a high school diploma but who are 18 years of age may apply for and enroll in certain certificate and diploma programs. These programs of study include Air Conditioning, Heating & Refrigeration Technology; Welding Technology; and Certified Nursing Assistant. In addition to completing the general Gaston College admissions application, these applicants must take the College Placement Test and complete the online New Student Orientation prior to registration. Non-high school graduates may also register for courses as a Special Credit student (see statement below regarding Special Credit students). However, students must meet any course prerequisites prior to registration. Students wishing to register for credit courses but have no intention of completing a program of study will be classified as Special Credit or Visiting students and may be admitted to credit classes with advisor's approval. 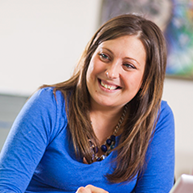 Students registered as Special Credit or Visiting Students may earn a maximum of 15 credit hours before having to declare a curriculum major or program of study. 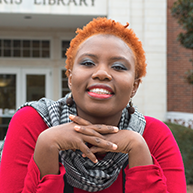 Tuition and fees are the same as for regular curriculum students.Students listed in the Special Credit or Visiting major code cannot receive financial aid. Credits earned may be applied to a degree, diploma, or certificate program by completing a Petition for Major Change form in the Counseling Center. 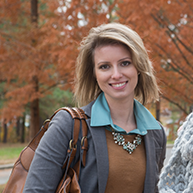 International students seeking admission to Gaston College must submit, along with an admissions application, an official or certified copy of their high school transcript and an official/certified copy of any college work completed. If the original copies of these transcripts are in a language other than English, an official English translation is required. Students whose foreign transcripts cannot be evaluated by college personnel are responsible for providing a transcript evaluation from a recognized American transcript evaluation agency. Proof of English proficiency is required. Before entering a full-time academic (college) program, a student is required to have a minimum Testing of English as a Foreign Language (TOEFL IBT) score of Reading: 17, Speaking: 16, and Writing 16 or Academic International English Language Testing System (Academic IELTS) score of Reading: 6.5, Listening: 6.5, Speaking: 6.5, and Writing: 6.5. Once an international student is admitted to the U.S. with F-1 status, certain obligations must be met in order to maintain that status. The international student must continue to carry a full course of study. This is defined as undergraduate study at a college or university which consists of at least 12 credit hours per semester. In addition to not accepting employment off campus, the international student must keep his or her passport valid for at least six months. An extension of status must be applied if the student wishes to remain in the U.S. beyond the period of time for which he or she was admitted. F-1 students are required to disclose fully and truthfully all information requested by INS regardless of whether the information requested is material. Gaston College is a commuter institution and does not have residence halls or student housing for rent. Students are responsible for finding their own housing. Transportation to the college must be arranged by the student. ALL APPLICANTS MUST HAVE COMPLETED THESE REQUIREMENTS AT LEAST SIX WEEKS PRIOR TO THE SEMESTER FOR WHICH THEY PLAN TO ENROLL. Policies and procedures for International students are subject to change in accordance to federal requirements and guidelines. Session Law 2011-145, the Appropriations Act of 2011, authorizes the State Board of Education and the State Board of Community Colleges to establish the Career and College Program. This program replaces all previous high school programs (Huskins, Dual Enrollment, and Learn & Earn Online). Career and College Promise provides seamless dual enrollment educational opportunities tuition free for eligible North Carolina private, public, charter, and home schooled high school students, allowing them to accelerate completion of college certificates, diplomas, and associate degrees that lead to college transfer or provide entry-level job skills. Career and College Promise includes College Transfer Pathways, Career & Technical Education Pathways, and Cooperative Innovate High School Programs (Early College). Students are responsible for paying for registration fees and textbooks unless the School System incurs the cost. Information on current pathways being offered may be found through the College's website (www.gaston.edu). Application requirements for the College Transfer Pathways and the Career Technical Pathways include: (1) High School Transcript, (2) Assessment Scores, (3) Completed Career and College Promise Enrollment Form with required signatures, and (4) Completed College Application. Entrance Requirements for the College Transfer Pathways include: (1) Must be a junior or senior, (2) Must have a weighted GPA of 3.0 on high school course work, (3) Demonstrate college readiness through approved assessment tests (Plan, PSAT, SAT, ACT, COMPASS, Accuplacer, Asset), and (4) Maintain 2.0 college GPA after two (2) courses. Entrance requirements for the Career & Technical Education Pathways include (1) Must be a junior or senior, (2) Must have a weighted GPA of 3.0 on high school courses, (3) Must meet prerequisites of courses in career pathway, and (4) Maintain 2.0 college GPA after two (2) courses. Gaston Early College High School (GECHS) is an innovative high school located on the Dallas Campus of Gaston College. The Early College High School is operated by Gaston College and Gaston County Schools through a joint partnership. This exclusive, non-traditional high school offers Gaston County students a unique opportunity to receive a high school diploma while earning an Associate of Arts degree from Gaston College. GECHS offers state-of-the-art technology and rigorous academics. Students take college courses at no additional cost, and after graduation, they may transfer to a four-year college or university. The University Center at Gaston College was established in 1990 through the efforts of Appalachian State University, The University of North Carolina at Charlotte, and Gaston College. 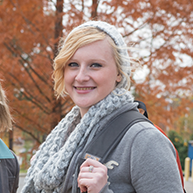 Located on the Gaston College's Dallas Campus, the University Center coordinates a cooperative program with various area colleges and universities to bring four-year and graduate-level classes to Gaston College in order to make classes more accessible to the citizens of Gaston and Lincoln counties. Identifying the needs within the community and cooperation with various senior institutions are the dominating factors that determine the classes offered through the University Center. 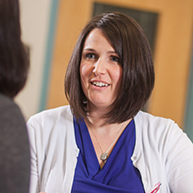 Most courses are offered during evenings for the convenience of working adults. Requirements for admission to courses in Economic and Workforce Development/Continuing Education vary by program. Please consult the college website at http://www.gaston.edu/economic-workforce-development/getting-started-with-continuing-education/ or the most current copy of the Economic and Workforce Development/Continuing Education course schedule for details. Persons under the age of 16 are permitted to register only for specific summer enrichment programs. Some classes are restricted to persons age 18 and older.